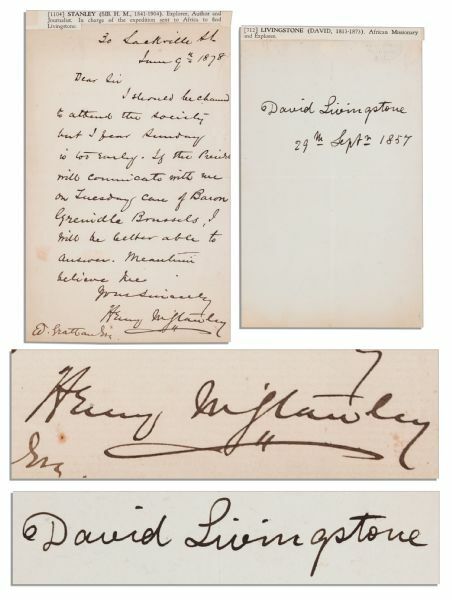 Autograph letter signed and signature by Henry Stanley and David Livingstone, the pair of English explorers who famously crossed paths in Africa. 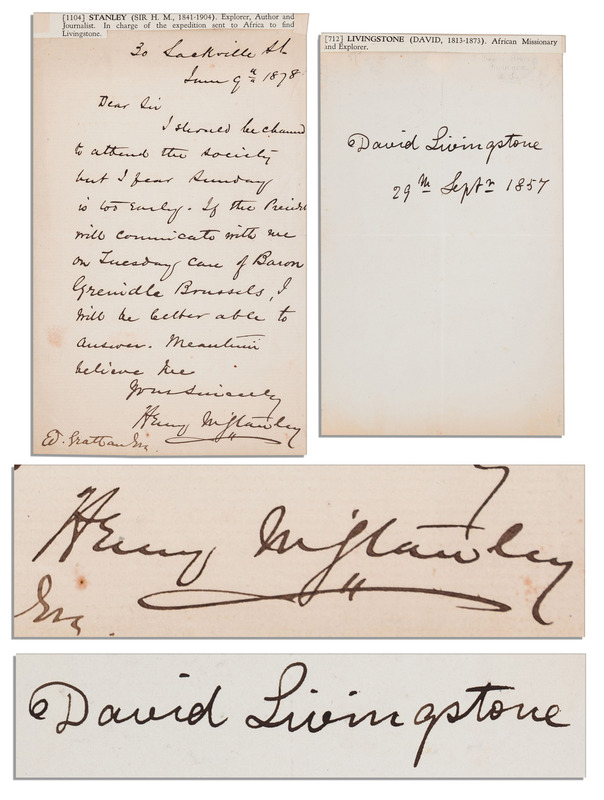 Two piece lot includes: (1) very bold ''David Livingstone'' signature and date of ''29th Sept. 1857'' upon a sheet measuring 4.25'' x 7.25'', and (2) autograph letter signed by Henry Stanley reading in part, ''...I should be charmed to attend the society but I fear Sunday is too early...Henry M Stanley''. Single page letter on card-style stationery, dated 9 June 1878 measures 5'' x 8''. Typed catalog captions mounted to top edges of both, and light toning, else near fine.